PIX Morning News (Channel 11 WPIX) is featuring some of the New York metro area's radio DJs on "Radio Week". They're kicking things off with 106.7 Lite FM radio personality Helen Little. Little took WPIX's Jill Nicolini on a behind-the-scenes tour of their studio and showed her what goes on during a typical day at 106.7 Lite FM. Little is on weekdays from 9:30am to 3pm. 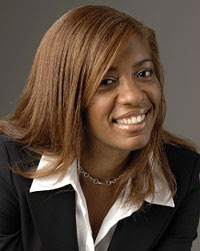 The North Carolina native was a former program director at Hip Hop station Power 105.1 (WWPR) and operations manager at Radio One Philadelphia, and after some restructing at Clear Channel radio last year, she was more than happy to return to her roots behind the mic at the mainstream adult contemporary radio station. You can keep up with Little by following her blog at http://www.helenrlittle.blogspot.com/ and on her Lite FM's webpage.